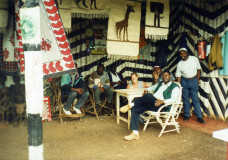 On my way to Arberdere Forest in Kenya, we stopped along the road at a curio shop to pick up some souvenirs, and Joe, my driver, sat with the shopkeepers while I shopped. 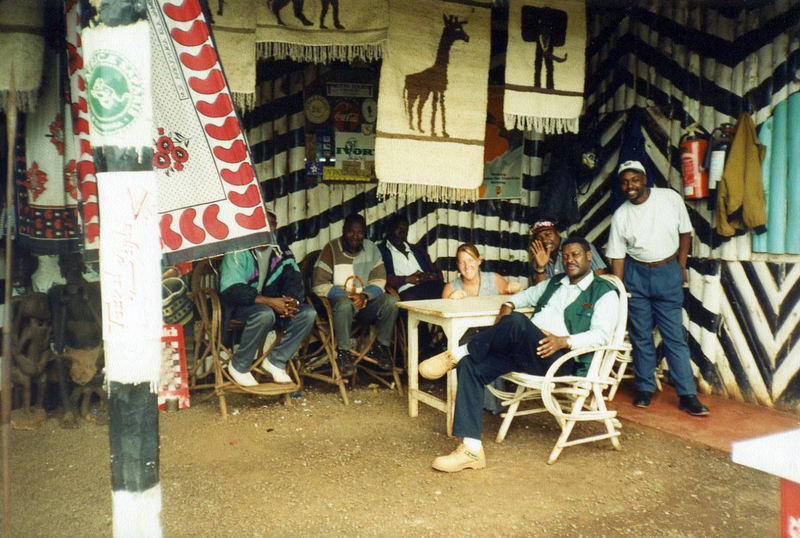 Everyone’s so friendly and kind in the shop, and I’m overwhelmed with choices of batiks and carvings to take home tocommemorate my first time in Africa. I noticed out in back that there was a dart board and hay bails, so I went out to see what was going on, and asked to join in. I bought all the locals a Tusker (the local beer) and we played darts together, talked, and enjoyed a beer… No where in my life have I experienced anything like that, just being so welcomed in to a game with the locals, and it was such a great time! I’m so impressed by their pride and their culture, and I was fortunate to just be able to enjoy some unexpected fun with them!